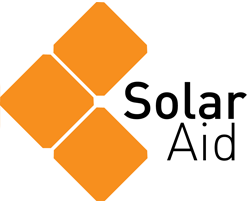 Yesterday over half a million people around the world, and members of the SolarAid team, joined a global climate march to call for immediate climate action. Today we have made a formalcommitment at the Clinton Global Initiative to build the alliance to eradicate the kerosene lamp by 2020. Having already helped get solar light to over 6 million people we are calling for more partners, donors and governments to help create markets for solar lights across the continent – to lift millions from fuel poverty and combat climate change. High profile leaders have already highlighted the huge need and opportunity presented by eradicating the kerosene lamp. UN Secretary General Ban Ki-moon describes how the poverty of his childhood in Korea, when his family lived without access to electricity and he studied by kerosene light, motivates him to provide developing countries with sustainable energy for all. The UN Climate week hopes to catalyse action on climate change. We’re currently helping millions of people turn to solar energy across Africa and usher in a new dawn of clean, cheap, renewable energy in some of the poorest areas of the world. We’re hoping to engage leaders and organisations around the world to join us in our goal; to eradicate the kerosene lamp completely by 2020.